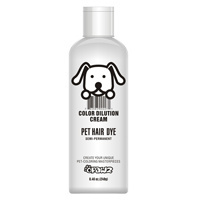 Can be used directly to pets with white hair. Or strengthen the color of the same shades. Continuous using to make the color brighter. Usage: Wash hair with warm water, then apply the generous amount of Funky Color Shampoo evenly from roots to ends. Rub continuously for 10 minutes to make the product saturated through the hair and achieve a better cleaning effect. Rinse with warm water then using conditioner. Gloves are recommended to avoid color staining in hands. If the hair is too greasing, please use OPAWZ Deep Cleanse Shampoo to wash at first. Do not use any conditioners or treatment products before using the shampoo to prevent the coloring result. 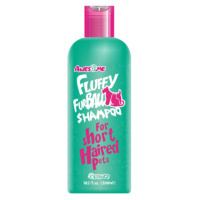 Do not use on pets that have irritated or damaged skin.